Exciting announcement! As you know, Imperial Theatre has always been renowned for world class entertainment. This event is no different! 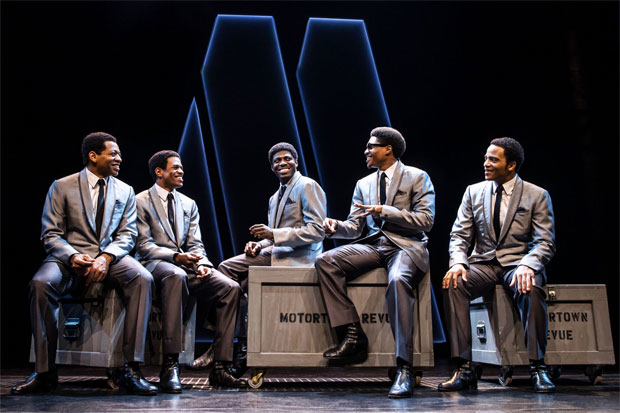 Ain't Too Proud: The Life and Times of The Temptations is hitting the Imperial Theatre on Wednesday 17th April 2019! If you're a fan of Ain't Too Proud: The Life and Times of The Temptations, then whatever you do, don't miss it – tickets are bound to sell fast so get yours while you can! Nobody does sell-out shows quite like Ain't Too Proud: The Life and Times of The Temptations – and there’s no place better for it than the Imperial Theatre!! Held in high regard by artists around the world, performing here is the lifelong aspiration for many. And it’s not hard to see why. Since its opening, the Imperial Theatre has been proud host of the shows of the most talented people on the planet. The Imperial Theatre’s reputation is so high that guests who travel from around New York to New York City just to see shows here. There’s no other place like it. Grab your tickets well in advance of Wednesday 17th April 2019, as they’re expected to sell out fast!